This is an event you won’t want to miss. Heacock Classic is participating in Three Mustang Centennial Gatherings in April. The inaugural event site starts in Norman, Oklahoma – then two tours head out both east and west. One tour heading West to Las Vegas Motor and the other Eastbound Tour culminating in Charlotte, NC . Along with providing Free Roadside Assistance coverage for all participants, Heacock will be driving the new 2015 Mustangs with a journalists occupying each vehicle. Heacock Classic Insurance will participating side-by-side with the Mustang enthusiasts in the MCA as well as other Ford marques, as they travel city to city to promote the Mustang centennial. The Mustang 50th Birthday Celebrations will be held in two of the most prestigious racetracks in our great country; the Charlotte Motor Speedway and the Las Vegas Motor Speedway. Both of these great racetracks have extensive ties to the Mustang Nation and are in locations that will allow a magnitude of Mustang enthusiasts from all over the world to be able to come and enjoy the Mustang 50th festivities. 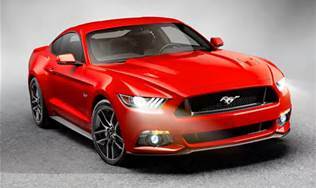 Plus, they both have all of the amenities necessary for an event of the Mustang 50th’s stature. As part of our sponsorship, our existing network of Roadside Assistance partners will be available for all tour participants via a toll free number and complimentary ID cards in the event any of the drivers have mechanical issues alone the way. This event will be covered by all national media, the automotive media, newspapers and of course, all club and social media outlets. Throughout the week, the vehicles will be displayed at the MCA and Heacock Insurance booths for all enthusiasts to view. Car shows are interesting, racing is exciting but there is only one chance to honor the Centennial alongside the largest Ford enthusiast group dedicated to one legendary marque, the Ford Mustang. Remember, no matter how you look at it, this is the Mustang 50th and there will not be another Mustang event of this caliper until the Mustang 100th in 2064!